About 10 days ago, a deputy to Trump's top trade negotiator gave a shockingly optimistic forecast on the political fate of the U.S.-Mexico-Canada Agreement (USMCA) — the president’s renegotiated NAFTA deal. To the bemusement of two sources on the call, C.J. Mahoney, Robert Lighthizer’s deputy, said he figured the USMCA could get through Congress with huge bipartisan support by the end of April. Between the lines: Nobody we've spoken to on Capitol Hill thinks Mahoney's prediction is remotely possible. 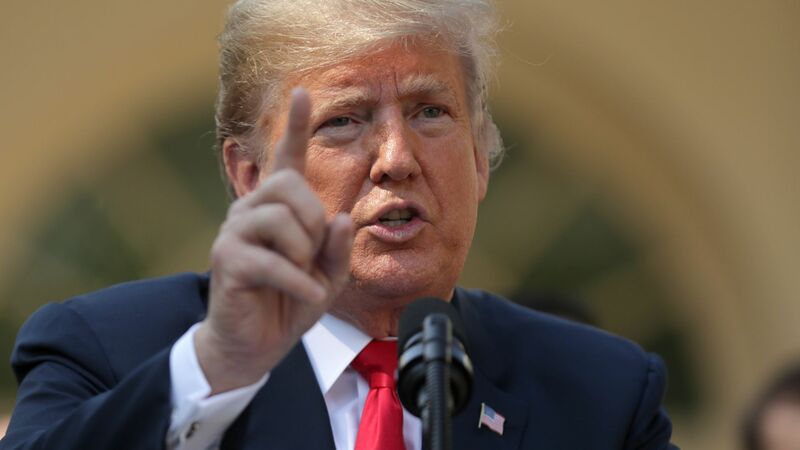 While the two sources on the call were impressed with his technical grasp of the trade deal, they called his comments on its political fate "naïve," saying they betrayed only a tenuous comprehension of the USMCA's troubled standing with Congress. Other sources who've discussed USMCA with Mahoney privately say his comments on the call don’t reflect his true opinions about the political troubles encircling the trade deal, saying that he was doing "happy talk" to keep things positive and instill a sense of urgency. The White House has also begun ramping up its congressional outreach. Why it matters: Regardless of Lighthizer and Mahoney's true convictions, the USMCA — Trump's most urgent legislative priority besides government funding — has a tough row to hoe. What we're hearing: While the White House woos moderate Hill Democrats, the lawmakers are sending up emergency flares. Wisconsin's Rep. Ron Kind, a member of the trade subcommittee on Ways and Means, is one of those Democrats. Kind told me he gives Lighthizer credit for "doing a lot more outreach." But he added that, like many of his colleagues, he won't back the trade deal until Trump lifts those steel and aluminum tariffs. Retaliation for these tariffs is hurting Badger State farmers and manufacturers, he said.